Scientists at King’s College London (KCL) discovered new mechanisms of cell death in neurodegenerative disorders, which may be involved in the leading causes of dementia, such as Alzheimer’s and Parkinson’s disease. The novel research was published Wednesday in the journal Current Biology. If the findings are expanded, the discovery could lead to new treatments for delaying the progression of previously incurable neurodegenerative conditions. Neurodegenerative disorders are the leading cause of disability among the age and lead to dementia. Alzheimer’s disease is the most common form of dementia and accounts for slightly more than half of all cases. 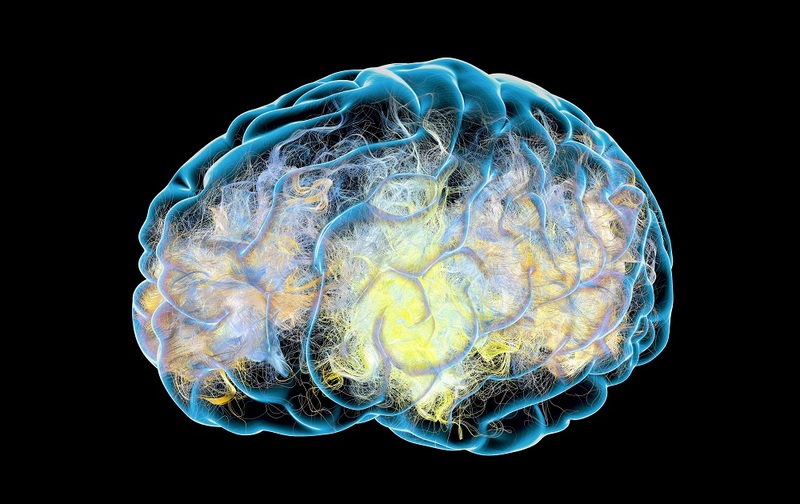 The problem of dementia is about to get a whole lot bigger. About 47 million people worldwide have dementia, according to the Worldwide Health Organization, in 2017, who also projects numbers to nearly triple by 2050. Neurodegenerative disorders that cause dementia are characterized by the progressive loss of brain function in which patients start to lose control of their memory, speech, balance, and movement. Many current treatments for neurodegenerative diseases aim to enhance cell clearance, which may worsen rather than improve symptoms, making the need for new treatment strategies an urgent priority. However, scientists do not know how or why brain cells lose function, particularly in the terminal stage of these neurodegenerative illnesses. Using animal models of a degenerative neurological disorder, the researchers found a similar dysfunctional process happening in the brains of fruit flies and mice, as well as human brain cells, which means that the team’s findings are likely to be replicated in human brains. The researchers found that nerve cells in specific areas of the brain became stalled and are no longer able to remove toxins or dysfunctional brain cells, a natural process known as autophagy. When autophagy goes into decline, it results in a build-up of toxins, a phenomenon known as ‘cellular garb-aging,’ a term coined by the widely-quoted geroscientist, Claudio Franceschi. The build-up in junk due to loss of cellular housekeeping is one of the hallmarks of aging, common as we grow older. When the cellular garbage has built up to unmanageably high levels, the cells become confused and instead of removing waste, they begin to remove perfectly good cellular components. This breakdown in cellular housekeeping leads to a loss of function and ultimately cell death. Current treatments for Alzheimer’s and other forms of dementia aim to enhance cell clearance. The researchers at KCL found a new insight into how nerve cells could die from self-digestion and this finding has significant implications for Alzheimer’s treatments that target autophagy. Moreover, the King’s College London researchers were able to disrupt the processes that interfere with cellular housekeeping, a technique which could be used to enhance treatments for neurodegenerative diseases. Alzheimer’s and other neurodegenerative diseases are partially caused by cellular garb-aging, a build-up of debris caused by a breakdown in autophagy, the cellular housekeeping process. While researchers may have just discovered the key to stopping this breakdown in housekeeping, much more work needs to be done before considering human trials. In the meantime, pharmaceutical companies are hoping they can stop Alzheimer’s with revolutionary treatments and approaches. In fact, more than 100 Alzheimer’s therapies are currently in clinical trials. And in a report late last month, researchers reported on drugs that may prevent Alzheimer’s. 1st of 3-part series: Scientists propose novel treatments to cure Alzheimer’s. 2nd of 3-part series: Scientists propose precision treatments for Alzheimer’s. 3rd of 3-part series: Report on drugs that may prevent Alzheimer’s. Article: Researchers test diabetes drugs as potential Alzheimer’s treatment. Cover photo credit: Naeblys / Getty Images. King’s College London. “Study reveals new mechanisms of cell death in neurodegenerative disorders.” (Press Release). Via MedicalXpress. November 22, 2017. Link. Baron, Olga et al. “Stall in Canonical Autophagy-Lysosome Pathways Prompts Nucleophagy-Based Nuclear Breakdown in Neurodegeneration.” Current Biology, Volume 0, Issue 0. Nov 22, 2017. DOI: http://dx.doi.org/10.1016/j.cub.2017.10.054. Link. Can These Novel Treatments Cure Alzheimer’s Disease? Hi Brady, very nice you have interest in AD. I would very much appreciated note from you with your private email address in regard to upcoming work regarding prevention of AD and Rapamycin.